Half of the winning intranet designs chosen in the 2018 Intranet Design Annual were created on SharePoint. This clearly states that SharePoint is the most popular intranet platform all over the world. 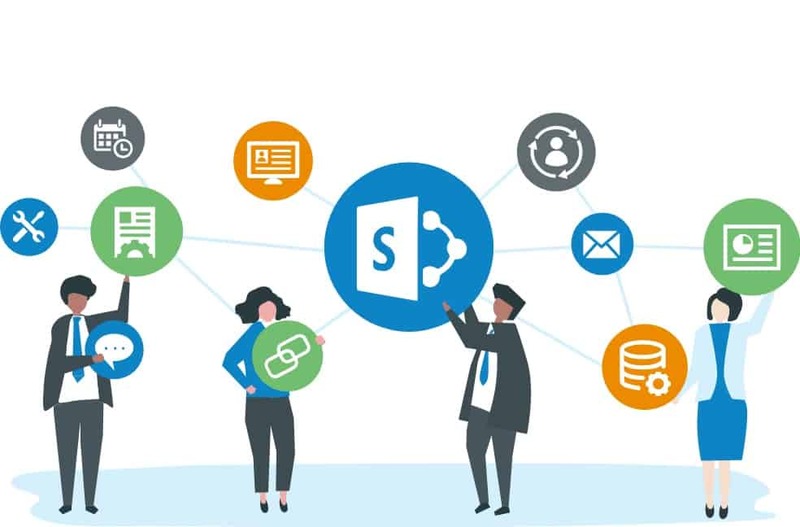 SharePoint gives you the ability to develop intranets that incorporate robust social and business features for all of your needs. For new companies, there is always an interactive demo to test run these features before you try the real thing! That being said, we must also acknowledge that there are pros and cons to every service, as you’ll find out later in this post while we discuss in great length all that SharePoint brings you. While using out-of-the-box SharePoint Intranet, you will get access to an array of features that assure the successful and seamless functionality of your workflows, content management, and organization-wide collaboration. These features save you from creating your own from scratch, thereby protecting your organization a lot of time. SharePoint also utilizes enhanced AI capabilities to smooth the process along further. Even though SharePoint comes with a significant number of features that is not always the best for everyone. Too many options can confuse businesses, and things can quickly get messy. With SharePoint, you get to create modern sites that are flexible, adaptive and beautiful. This beats the old sites feature by a mile in terms of layout techniques, typography, and speed. Did we mention they’re also mobile responsive? Since these modern sites are created to be a part of site collections, you are limited to a handful of templates for use. You can no longer use SharePoint Designer 2013 to alter your master page to your liking, which can be quite bothersome for organizations that strive for originality. Companies that refrain from using out-of-the-box SharePoint may find it difficult to fit within a particular business context. However, it is possible for SharePoint intranets to be customized by organizations to incorporate business branding and custom solutions for HR, projects and knowledge management sections. To sum it up, this has to be SharePoint’s biggest pro to date. You can even build custom SharePoint mixed reality apps with the help of smart templates. Even though SharePoint intranets are highly customizable, they take time and a lot of money out of an organization. Both the cost and the customization time required is relative to how much of customization your organization requires at the end of the day. So this is something you need to keep in mind when deciding to customize the intranet. However, if things get too hectic, you can always call our SharePoint consultant at Code Creators to help you out!